KUALA LUMPUR (Mar 27): Malaysian universities have failed to make the Times Higher Education (THE) list of the world’s seven fastest-rising young universities in the world, even as neighbouring country Singapore’s Nanyang Technological University (NTU) debuts at first place despite being just 24 years old. The list features institutions of higher learning under the age of 50 which have risen the most number of places in the annual top 400 THE World University Rankings since 2011, as well as the forthcoming THE 100 Under 50 Rankings. However, while NTU, which was founded in 1991, has managed to rise 108 places in the THE World University Rankings in just four years, not a single Malaysian university made the cut. Fran Langdon, a representative of THE, told The Malaysian Insider this was partly because many Malaysian institutions refused to submit their data to be ranked. "However, looking at the Malaysian universities which have submitted data to us (although, unfortunately, they did not perform strongly enough to be ranked), in general, Malaysia's universities receive quite low scores for reputation and also for citations," said Langdon, adding that these were the most important indicators in THE's World University Rankings. "An issue of concern for Malaysia overall is the relative lack of engagement with the global rankings. We are finding that some Malaysian universities are not yet ready to share data, which I feel is a real missed opportunity. "Unwillingness to be open about their data means that we simply cannot measure them up to their peers on the world education stage, which is a great shame." However, Langdon added that Malaysia's inability to make the list of the fastest-rising young institutions was "not surprising" as only seven institutions performed well enough to be featured in it. At second place in the list is Maastricht University, the Netherlands, which moved 96 places up the World University Rankings since 2011, followed by University of Warwick, which moved 54 places. The Korea Advanced Institute of Science and Technology comes next having climbed 42 places, followed by Spain’s Pompeu Fabra University, Switzerland’s École Polytechnique Fédérale de Lausanne and, the Hong Kong University of Science and Technology, moving 21, 12 and 11 places respectively. Putrajaya has defended Malaysian universities’ dismal ranking in global assessments by pointing out to the gains they have made at such a young age, but THE editor Phil Baty said the list proved a university did not have to be old to be world-class – it just had to be "bold". "With strong leadership, clear focus – and let’s be honest, serious financial backing – these seven rising stars have shown that what others have developed over centuries can be achieved in a matter of decades," said Baty. "They are a truly exciting and dynamic group of institutions which should serve as a lesson to the rest of the world, that the traditional global world order is not unassailable and visionary young universities can break through." THE said an analysis of the top seven institutions revealed three important qualities a university needed to "take on the establishment": citation impact, income from industry and international outlook. “Citation impact” refers to how often a university’s research papers are being referenced by other academics, and was a measure of the influence its research has on the rest of the world. “Income from industry” relates to how much companies are working with academics and applying their research to the real world. The third criterion, “international outlook”, is a measure of how many international students and staff a university attracts, and how much it is collaborating on international research papers with other institutions. "Research-related indicators, such as 'citation impact' – how much Malaysian research is being used and quoted by other academics around the world – is perhaps the single area where Malaysian universities are underperforming the most," Langdon told The Malaysian Insider. "In the short term, an intense focus on this area would likely result in improvements for Malaysian universities’ performance." Langdon said in the long term, Malaysia could benefit from focusing more on improving its academic reputation, as well as its financial indicators. "Indeed, this is the area we are seeing most improvements in from many of the East Asian universities which hold places at the top of the tables. "However, there is no easy, simple recipe for success," she added. In an immediate response, DAP lawmaker Dr Ong Kian Ming told The Malaysian Insider it was not surprising that Malaysia had not made it in the THE’s top seven, given its dismal performance in the annual rankings. "The list shows we are still trying to catch up to those who are catching up. So you have top universities such as Harvard, Cambridge and Oxford, and now we have a list of young universities that are catching up – which Malaysia has yet to catch up with," he said. When asked why Malaysian institutions were doing so badly compared with Singapore’s, Ong said the university’s management, rather than funding, was the key in determining the overall performance. "There is internal resistance in our universities to change, to allow them to catch up with the rest of the world. For instance, there are those who may not want to publish up to international standards, perhaps because they are more comfortable not publishing in English." He said funding was not an issue as the budget for local universities has increased over the past 10 years, and would be further boosted with a Supplementary Supply Bill that was tabled in Parliament on Monday. "You can’t use funding as an excuse. 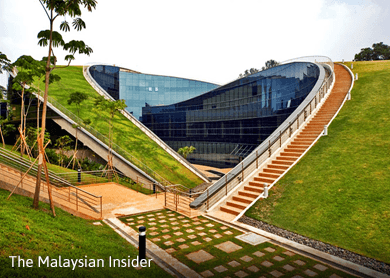 Universiti Sains Malaysia (USM) was given the status of APEX university and received extra funding, but that didn’t help it improve its ranking." He added that Datuk Seri Idris Jusoh’s emphasis on the QS World Ranking alone to defend Malaysia’s universities had caused the education minister II to miss out on a more holistic viewpoint of their performance. "He should be taking into account the different rankings for our universities instead of focusing on the QS ranking. And this THE list shows we definitely cannot call ourselves world class," said Ong, who is the MP of Serdang. In the QS World University Rankings released last year, Universiti Malaya (UM) was at number 151 while Universiti Kebangsaan Malaya (UKM) was ranked 259th. The ranking also put Universiti Teknology Malaysia (UTM) at number 294, USM at 309 and Universiti Putra Malaysia at 376. But Malaysia has never featured in the THE World University Rankings or World Reputation Rankings, and has only made it into the Top 100 Universities under 50 years old once, when UKM ranked 98th in 2012. Last year, Baty expressed disappointment that UM and UKM did not submit data for its annual World University Rankings 2014-2015, effectively missing out on the opportunity to be assessed against other universities in the world.